Guest Post: Pedigree at What Price? Jessica is a 5th year student at the University of Auckland, completing conjoint degrees in Law and Arts. She is in the transition from vegetarianism to veganism. She also enjoys sports such as kickboxing and tennis. A close friend of mine mentioned that she was thinking of buying a bulldog the other day. They’re a good size for the amount of space she has, they make great companions, and they’re adorable. It got me thinking about the bulldog, a long suffering canine plagued by respiratory illness, skin disease, and joint problems (to name a few). How did this happen? If pedigree dog breeding is, as breeders would have it, about breeding away from defects and towards a healthy, ‘perfect’ looking specimen, then how have bulldogs ended up in such dire straits? 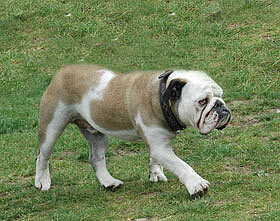 The 2008 BBC documentary, Pedigree Dogs Exposed recently shook things up in the dog show circuit. The film explored the way that inbreeding and desperate adherence to the Kennel Club’s Breed Standards have resulted in modern pedigree dogs essentially falling apart before our eyes. What it exposed was the train wreck that has become the modern purebred dog. The fallout was devastating. Sponsorship and affiliations with the Kennel Club were revoked. The RSPCA responded with a thorough and disturbing report addressing pedigree dog breeding in the UK, the summary version of which can be found here. One year down the track the Kennel Club released this article detailing the changes that have been made in light of recent controversy. Crufts’ (the UK’s premier dog show) new tag line: ‘Celebrating happy, healthy dogs’ now dominates its website as well as much of their promotional material. The organisation seems to have taken on board the criticisms which the documentary made. Fabulous. So why do I get the ominous feeling that despite the implementation of these new policies, purebred dogs are still heading into a whole world of trouble? Maybe it’s because according to articles such as this one, written by Jemima Harrison (director of the aforementioned documentary) it seems as though the Kennel Club’s reforms are more to do with PR spin than instigating any lasting change. The Kennel Club and its policy on breeding along certain guidelines is said in the documentary to be born of the eugenics movement. You know the one? The very same which necessitated the preservation of the Aryan race? That one. It’s no wonder the Kennel Club took offense at the suggestion that their practices share an origin with of one of the most heinous movements of last century. But that’s what we’re dealing with here – isn’t it? Selective breeding: Breeding with the specific purpose of producing offspring with certain desirable traits and the elimination of other, less aesthetically pleasing, attributes. But it’s not just that these dogs are bred in a manner which has a disturbing human parallel. Dogs bred under the Breed Standards must reflect a certain aesthetic ideal – and it is this ideal that is having such a terrible effect on dogs. Many purebred Cavalier King Charles Spaniels for instance, after generations of being bred to attain increasingly petite skulls, now suffer from the devastating disease Syringomyelia (SM). And it’s not just a few dogs we’re talking about here – as many as 50% of these dogs have been estimated that have SM. Logically, it seems likely that many breeders will be aware that their studs have this crippling disease and yet continue to breed them anyway. If we grant that breeding in such a manner does cause the animals pain, we need to question whether it is in furtherance of a legitimate purpose. The breeders are fulfilling a societal demand for pedigree dogs which live up to certain (breed) standards. So long as the public demand for pedigree dogs continues, dog breeding, as it currently exists, will be legitimate. Even if it is a legitimate purpose however, we need to question whether the same end could be achieved in a manner which avoids the pain currently caused. This is the core of the problem. In order to produce dogs which physically comply with the breed standards, breeders feel they need to mate dogs in whichever way is most likely to result in desired characteristics. Unfortunately for the dogs, this sometimes means mating mother/son or brother/sister combinations. Perhaps even more frightening, it sometimes necessitates breeding from dogs known to have congenital disorders, simply because they are physically closer to the breed standard. To avoid or reduce animal suffering, something has to give. If breeders keep adhering to the breed standards and if buyers continue to demand that they do so, then the consequences for the dogs will be grave. Ultimately, what it comes down to is a balancing act. It requires us to question whether we think the pain that these dogs suffer is justifiable and given the demand for these dogs (defects or no), it would appear that we do. People want pugs with cute little squished faces and curly tails… if the pugs have to suffer to a horrendous extent, then that seems to be a sacrifice that we are willing to make. Without specific legislative guidelines concerning inbreeding, breeders are left to breed in whichever way proves to be the most profitable. Professor James Serpell, an interviewee in Pedigree Dogs Exposed, suggested that the answer lies in legislation. Specific rules need to be put in place to dictate what can and cannot be done in dog breeding – with a view to halting inbreeding. Without such provisions, if dog breeding keeps continuing on in the direction it is currently headed – there won’t be any of these dogs left to breed. Dog breeding in its modern incarnation is a relatively new phenomenon. 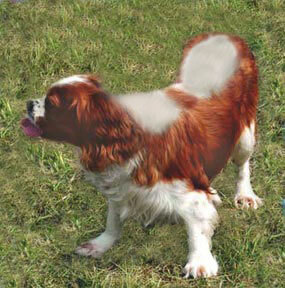 If we can do this to dogs within the space of 100 years – what will they look like in another 50? But just hold on a second, you might think, we’re trying to create a master race breed here… Certain sacrifices need to be made… If we breed dogs in a manner which minimises congenital defects we could end up with less attractive specimens! No, no. I want one of those bulldogs with an underbite and a giant head, and if it has to be born by Caesarean, well – that’s just how bulldogs are born now. Right? I think perhaps Christopher Guest was on to something in his mockumentary ‘Best in Show’. Because if this whole process isn’t (absurdly) all about aesthetics, then why are we doing this to our dogs? Perhaps it’s time to start questioning what we’re looking for in a pet, and considering just how far we are prepared to go in order to get it. Images used under creative common licence. Source. In general I agree. However we have a bulldog and I believe he lives a happy life. He loves his walks and can easily walk an hour or more. 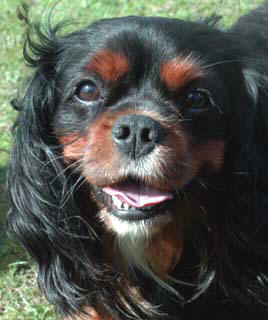 He is nearly four and has had fairly minimal health problems, no more than might have been the case with any other dog. It is not fair to tar all bulldogs with the same brush.